The carpets in your home take a hell of a beating from shoes, feet, dirt, debris, food, liquids, pets, cigarette smoke and more. The carpet in your office takes even more of a beating because the carpet takes on an abundant amount of dirt, even more so than home carpets because of the plentiful amount of people in a work place. Cleaning the carpet yourself and getting it professionally cleaned at least once a year is essential; however, it wouldn’t hurt to think about using carpet protectors to increase the longevity of the carpet. What do carpet protectors do in general? Chemical carpet protectors help prevent dirt, debris and stains from being absorbed into the carpet. When these things get absorbed into the carpet, they become harder to clean and cut down the carpet’s life. Carpet protectors help in your everyday clean-up of the carpet because they help keep water, soil and dirt on the surface of the carpet’s fibers. This helps the carpet become easier to clean up. Additionally, the carpet protector can also help keep the color of your carpet last longer and not fade as quickly. It also protects the carpet from liquids, making spills easier to clean up. Think of it this way: a carpet protector works exactly how wax on a car does. Carpet protectors are very beneficial to caring for your carpets, so it’s best to at least consider using them. A lot of the new types of carpeting are pre-treated with these carpet protectors, so it wouldn’t hurt to give your carpets an upgrade in its lifespan. Make sure to apply the carpet protector as directed. 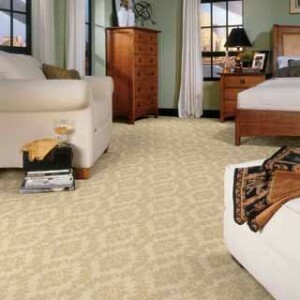 There are many carpet protectors to choose from, including green carpet protectors. Green carpet protectors would be best to use to keep your environment as healthy as possible. They work just as well as any carpet protector, and they are also safer to use than standard carpet protectors. So you eat organic food to keep your body healthier, why not use organic carpet cleaners to keep the atmosphere of your home healthier? There are many harsh cleaning chemicals out there that can lead to many other problems with your health in the long run, and risking the health of your own body isn’t worth a shiny home. 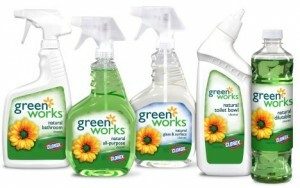 Many reputable carpet cleaning companies are going green, and taking advantage of green home cleaning products. The older, nearly dated, harsher cleaning chemicals can get the job done, but they will also cause potential harm to your friends and family. Those with sensitive systems, like the elderly, pets and children, can be affected by harsh chemicals in the atmosphere of your home. The harsh chemicals that non-organic cleaning products can emit in the air may cause or worsen allergies. Your family, friends or pets may get sick simply because of the chemicals you are using to clean your furniture, carpet or tables. Using green cleaning products will simply lower the risk factor of getting allergic reactions by a great deal. If you want to support and strive for living a natural, healthy life, then choosing organic cleaning products is a step in the right direction. If you’re choosing a professional carpet cleaning company to clean your home or office, make sure to ask them what type of cleaning chemicals they use. More reputable carpet cleaning companies will have made the switch to green carpet cleaning chemicals. Organic carpet cleaning chemicals are becoming the standard for professional carpet cleaning companies so make sure to put that down on your checklist of what to ask while screening carpet cleaning companies. In addition, every time you go to the market, make sure to choose organic cleaning chemicals to use in your home, because it makes great difference. A healthy mind and body is essential in keeping your employees happy and working efficiently. The carpet in your office receives tons of punishment from all the employees, collecting dust, debris and allergy-inducing dirt. A clean office is a happy office, plain and simple. The carpet in your office is one big guard that absorbs all the muck of you and your employees’ shoes, acting similar to a giant filter. Vacuuming the carpet once a week just won’t cut it because the carpet will absorb the filth enough that a normal vacuum will fail to pick up all the dirt. The dirt will get trapped in the carpet, making the working environment filthy. The carpet can only hold so much dirt until it hits its limit, and sooner than later the dirt will be picked up by the air for the employees to breathe. Having the carpet in your office vacuumed every week is standard, but it’s not all you should do. A professional carpet steam cleaning is required to make sure your working environment is in healthy, top form. For floor carpets, professional steam-cleaning should be done every few months or so, in order to extend the life of the carpets. Office carpets experience more wear and tear because a working environment is much busier than a house, so the carpet needs to be professionally cleaned more often. An attractive, safe-working environment, and happy employees, is one of the keys to keeping a great business team going. 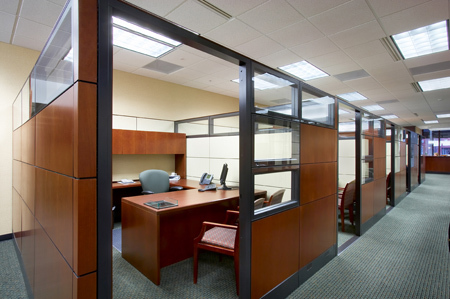 Professional carpet steam cleaning can help restore office carpet and keep the environment clean for the employees. Keep the carpets in your office clean, just like the carpets in your home, because the place you work at is your second home, and you’ll spend about an equal amount of time in each space.